Release date confirmed in the trailer below, May 27th. Not sure which console this footage is pulled from, but parts of it make me think it's not exclusively Xbox 360 footage. Ubisoft has revealed that Watch Dogs is the most pre-ordered new IP in the company's history and the second highest pre-ordered Ubisoft game of all time. The game sees you assume the role of hacker Aiden Pearce, as he transforms the city of Chicago into a weapon to turn against his enemies. "We expect it to become a major heavyweight of the industry," said CEO Yves Guillemot during Ubisoft's earnings conference call. Executives on the call also stated that they expect Watch Dogs to rack up higher sales than the first Assassin's Creed, meaning projected lifetime sales of 6.3 million. 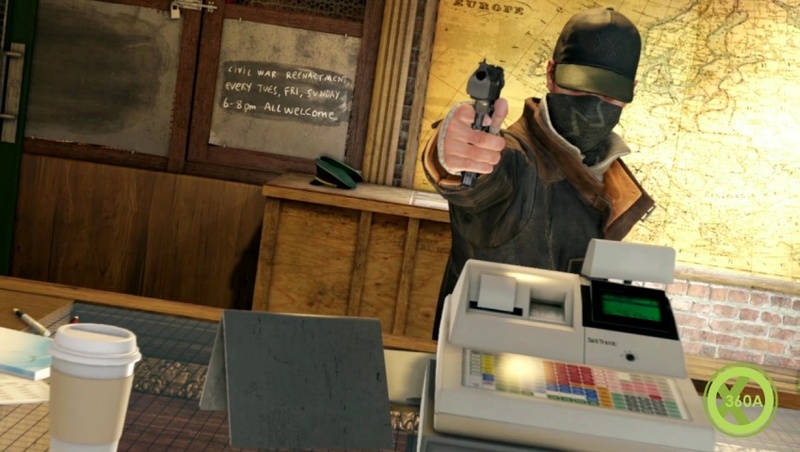 Watch Dogs is coming to Xbox One, Xbox 360, PS4, PS3 and PC on May 27th. Wanted to hold out and wait until I got either a PS4 or X1 before buying this, But am real tempted to get this for the 360. Still not sure, I had a pre-order for this and cancelled it when I started to see footage of the 360 version. Not that visuals are the most important to me, but it stands to reason that if it's been short-changed visually, there may also be less attention paid to other aspects, which I hope isn't the case. I may shift back around, but definitely had me re-consider the pre-order- which is most often the case with me lately (pre-orders in general just feel like a dirty practice, IMO).